Our venue Lagoon Beach Hotel is conveniently located in beautiful Cape Town only 15 minutes from downtown. And here is no shortage of iconic sites to visit & enjoy. 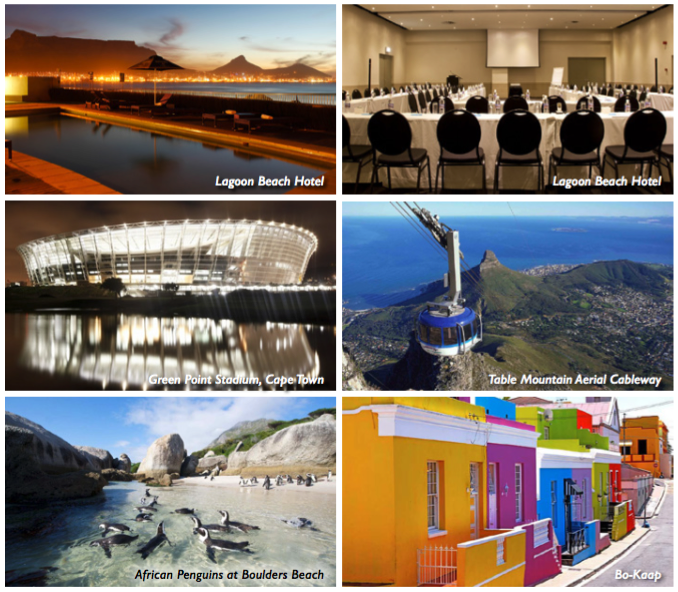 Lagoon Beach Hotel is the ultimate business hotel in Cape Town with popular conference facilities, world class restaurants, and a magni cent Table Mountain view. Our venue is placed in the city where two mighty oceans greet, and where whales frolic, and lions, leopards, rhinos and elephant still live together with a multi-cultured nation. 1 Lagoon Gate Drive, Milnerton, Cape Town, South Africa, 7441. See our Hotels and Travel page for info on how to get to venue or find our venue on Google Maps.